People’s personalities are conventionally divided into introverts and extroverts. A colleague and I had a discussion about how our personality types impacted our assimilation into the workplace. When I first joined Vulcan Post, I was told that it’s standard practice to take a personality test—I found out that I was classed under the INTP personality type, “The Logician”. This came as no surprise to me, as I have been aware of my introverted personality for quite some time now. 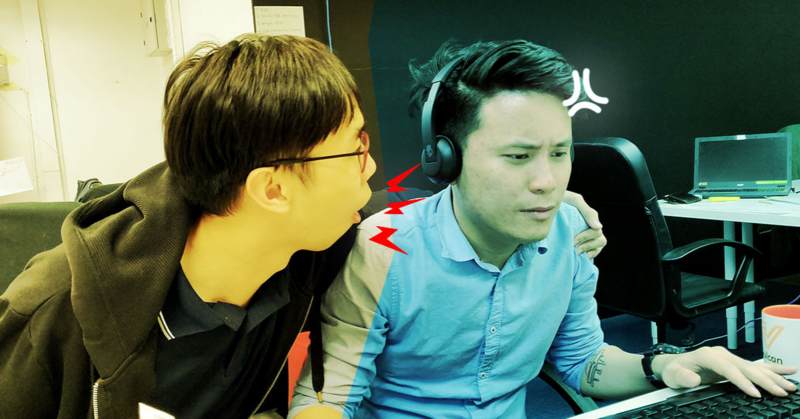 After getting to know my colleagues a little better, I came to find out that one of my colleagues, Justin, was more of an extrovert. Of course, I didn’t need to see his test results to come to that conclusion, as he is usually the most boisterous one in the office whatever the situation. Clarification: In the field of psychology, the spelling for the term is etymologically “extravert”. However, the more commonly used spelling is extrovert, which we used in this piece. 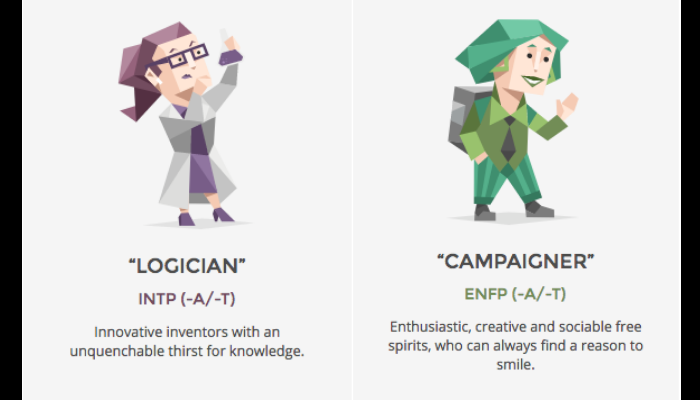 Surprise, surprise, his test results placed him under the ENFP personality type, or “The Campaigner”. According to this personalities website, he is apparently a “free spirit”, with a charming, independent and energetic personality. On the other hand, people with my personality type are supposed to be known for their “rigorous intellect” and “unique perspective” (I’m not too sure about that). With Justin and I having worked here for a short period so far, we were having a chat one day about the kind of experiences we’ve undergone. 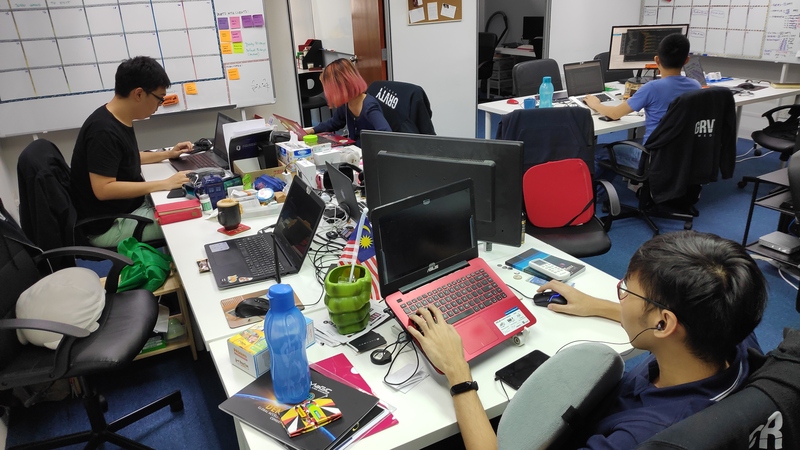 Due our contrasting personalities, we realised that the challenges we encountered in varying situations were quite different—especially when you consider that we were both joining a new company and workplace. According to Justin the extrovert, his first day in the office was just like any other day. Seemingly nonplussed, he did admit to feeling a little nervous the day before, but as he put it, it was a “normal” day. As for me, I could barely sleep the night before. I tend to have insomniac episodes whenever I go through change in my life—I had about 2 hours of sleep, popped on some makeup (just kidding) and made the journey to my new office. The social interactions of meeting a whole new office’s worth of new colleagues was a fun experience, albeit a draining one. I’ve always felt that people who don’t understand the nature of introverts don’t get that we still enjoy social interactions and the such—we just need time to recharge. On the other hand, Justin is a (much welcomed) bundle of energy throughout the day. According to Justin, “Meeting new people energises me, and motivates me to meet even more new people”. You often hear things like, “Network!”, “Get to know everyone!” or “Promote yourself!”, but sometimes these words of advice can be specific to certain individuals and their respective personalities. With offices also increasingly utilising open-floor plans and open brainstorming sessions, it can be a little overwhelming for an introvert to deal with this gush of social interaction, all with a whole group of new people. However, as I previously mentioned—introverts do still enjoy social interaction. It really depends on how the interactions are handled and basically managing your time so that you can take some “Me Time”. Besides regular working-hours and work events, most office-workers do spend some time together outside of work. Whether it’s for meals or just to get to know each other, the importance of personal bonds and good relations between colleagues can sometimes be understated. It turns out that extroverts and introverts can agree on that, at least. The terms introvert and extrovert were actually coined by Swiss psychiatrist Carl Jung in the 1920’s, and he conceded that there is a third category of personalities—ambiverts. According to this article on Psychology Today, ambiverts form up to anywhere between 50% to two-thirds of the general population, which basically means that introverts and extroverts are basically minorities. Why do people mainly identify as either intro/extroverts? A study explained a theory known as “self-as-stories”—in a nutshell, you become whatever it is that you believe you are. The interesting thing to take away from all this is that you may have identified as an introvert or an extrovert, but you may actually be somewhere in between instead. Most people I’ve spoken to on the subject believe that it’s a sort of spectrum, and there are those who are more or less in the middle. However, what has become clear to me is the need for people of all personality types and nuances to work together, in pursuit of a common goal. In the workplace, many workers opt to stick to people who have similar personalities, or even to themselves. Justin’s screen is on, but he has a privacy screen protector. He does occasionally get accused of not working. From personal experience, the contrast between different personalities can lead to truly interesting results. Our brainstorming sessions go particularly well, with each member of the team often offering a different sort of insight into any particular matter. There are many stereotypes when it comes to professions and personality types: you need to be an extrovert to do well in this field, or this type of personality type isn’t suitable for that sort of job, and others of similar ilk. My experiences here and the varying personalities of my colleagues and team have led me to another conclusion: I beg to differ. You can take the 16 Personalities test here.